Enter your “K” Line container tracking number below, should have format KKLU1234567, get the real-time “K” Line container status. “K” Line America (KAM) provides a dynamic work environment where assertive and motivated individuals can flourish. We are committed to providing cutting edge technology, a challenging work environment, and the opportunity to grow with a thriving organization. “K” Line America, Inc. does not participate in crewing vessels as that is handled exclusively overseas. We cannot provide information as to the hiring procedures. All U.S. shore side labor is contracted for under collective bargaining agreements with the ILWU and the ILA, and “K” Line America, Inc. is not a party to those agreements. Those interested in shore side labor employment should contact one of those unions. If you have problem with our container tracking system, please track your container directly on the K-line website. If you get no tracking information from K-line official website, you’d better contact K-line. When you ship with “K” Line, you will get a “K” Line container tracking number with format KKLU1234567. “K” Line has the following prefix: KKLU, KKFU, KKTU, KLFU, KLTU, ESSU and AKLU. 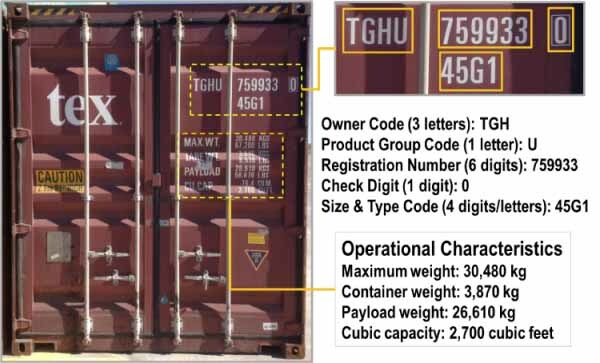 Know more “K” Line container tracking number information from below picture. If you have problem with our “K” Line Container Tracking system, submit your problem here, we will help you as soon as possible. Declare: We can NOT contact carrier or others on your behalf, we can only help you track your package with your “K” Line Container tracking number on official tracking system.